Solidarity between Belgium and Hungary has been a long tradition. In fact, after the First World War, millions of unemployed Hungarians have been offered a job in Belgian mines. 6000 Hungarian refugees were granted asylum in Belgium after the repression of the Hungarian revolution of 1956. The European Union membership of Hungary helped strengthen the relationships between the two countries. Belgium is the 13th largest export economy in the world. In 2015 Belgium was the 12th largest exporter and the 14th largest importer of goods worldwide. The amount of the Walloon exports across the globe represented 38.8 billion euros in 2015. In 2014 the European Union exported goods to Hungary for an amount of 58.5 billion EUR. The share of Belgium represented 3.3%, making the country the 10th most important exporting one to Hungary. Still in 2014 the number of imported goods from Hungary was up to 61.5 billion in the EU. Belgium was then ranked the 12th most important importer. In 2015 Hungary was the 23rd client and the 29th supplier of goods in Belgium. In terms of services, Hungary was in 2014 the 29th most important client and the 24th most important supplier of Belgium. Hungary has a very central location in Europe, which is attractive for foreign investors. More than 3,000 Belgian companies, including ones of Wallonia and Brussels, have already successfully exported their products to Hungary. Here are only a few examples: Tungsram-Schréder, Carmeuse, Mono Ipolyfabric, Upignac, GlaxoSmithKline Biologicals or CMI Environment. More than 75% of Walloon exports are in partnership with the European Union (28). In 2015, Wallonia exported goods for 212.04 million euros in Hungary. This figure ranks Hungary the 26th partnership country for Walloon exports. Wallonia’s top 5 exporting goods are in the following sectors: products of chemical and pharmaceutical industries, machinery and equipment, base metals, plastic and other materials and finally food supplies, beverages and tobacco. Ernst & Young ranked Belgium as the fifth most attractive places to invest in Europe. Wallonia is tiny on the map but offers many significant advantages. 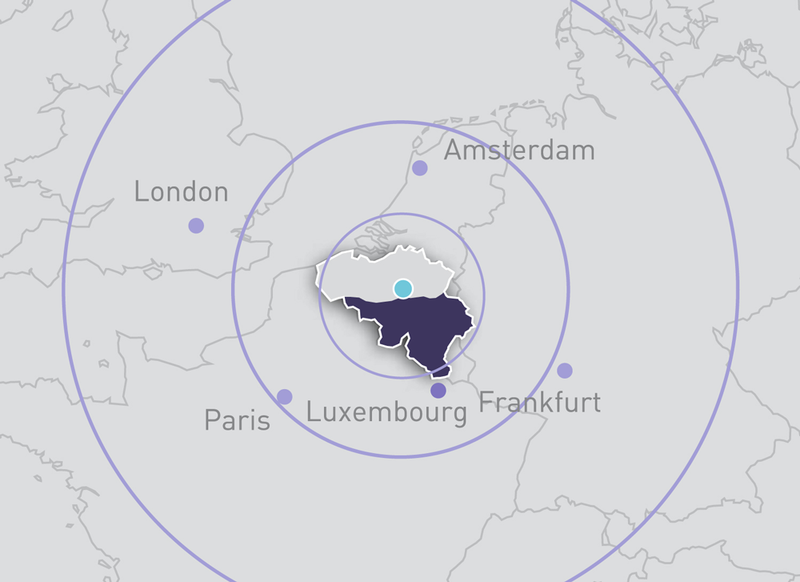 In short Wallonia is located in the heart of Europe, close to European and international institutions, has an open economy and a competitive tax regime, and trains effective as well as qualified working forces in 9 high-level universities. And last but not least the region enjoys one of the best qualities of life standards in Europe and is a great place to live. Just have a look at the three first following links. International companies such as Google, Microsoft, GSK, Baxter, Decathlon and many others have already opted in favour of Wallonia. They have developed their activities there, attracted by the research grants, the geographical position and the quality of the logistics infrastructure. Hungarian companies, such as the most famous one, Waberer’s International, have also located parts of their activities in the region. The Office for economic and commercial representation of Wallonia in Budapest opened in 1995. Since 2011 our office has also been competent for the Brussels-Capital Region. Based on an agreement with Wallonia, the Office is also representing the interest of companies from the Grand-Duchy of Luxembourg. Wallonie-Bruxelles International is in charge of international relationships in other fields such as development cooperation, scientific research and innovation, economy, environment, education, school teaching, training, job and internship, youth, health and social affairs, human rights, communication, culture and art, tourism and sports, Europe and the Francophonie. Wallonia/Brussels and Hungary have had bilateral agreements of cooperation since 1997. Joint Commissions were held on different programmes, recently new joint cooperation projects are being identified. The link to their website is just below.